Is your company looking to align employees with business goals and success, and fuel a culture of recognition and innovation to drive business outcomes? 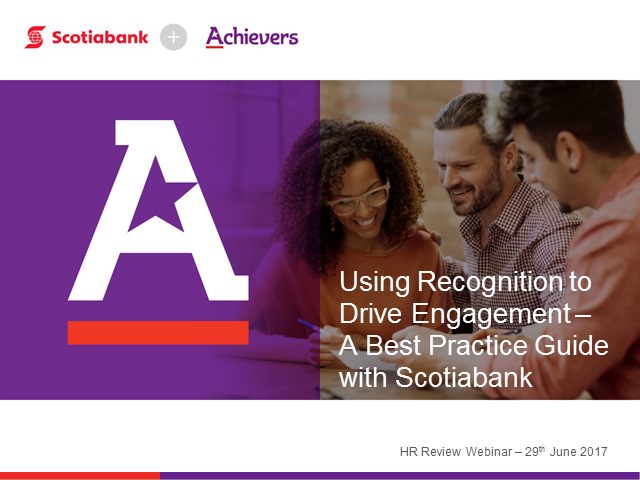 Join Erik Finch, Sr. Director of Field Operations, Achievers, and Ramón Edilio Vargas, Director Global Employee Recognition, Scotiabank as they discuss using recognition to build engagement and results. If you are looking for ideas on how to improve employee engagement and performance or want to learn more about the top driver of employee engagement, employee recognition, and how to implement or improve a company-wide recognition programme, then this webinar shouldn’t be missed.